All sounds are from LEMON including percussions - no third party sounds. Contents: 14 Kontakt patches (variations of 5 instruments), based on 82 MB stereo samples. 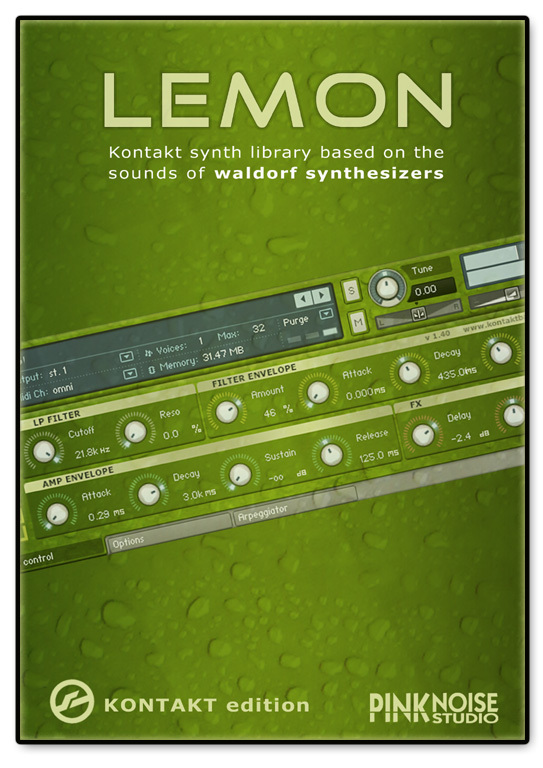 requirements: full version of Kontakt 3.5 (or more recent version). Restrictions compared to the full version: limited keyrange (F2-E5) and samples were downsampled to 16 bit. Please note: this demo bank is demo only, for demonstration and educational purpose. It is not a "free" product. You will need the full product's licence for any commercial use. We created control maps (based on the midi implementation of our Kontakt banks) for different midi keyboard controllers. You can use these presets to control the synth's parameters in realtime.